Looking for ice fishing tips while on Lake Winnipesaukee in New Hampshire? If you've been thinking about fishing all winter, it's a way to keep you from being stuck indoors with nothing to do. And you don't have to wait for summer to enjoy Lake Winnipesaukee in New Hampshire. You can have a wonderful fishing experience while the ice is covering the lake. Setting up a spot with all your gear and braving the elements can be very enjoyable. Plus there are no bugs to annoy you. Get your gear and Bobhouse because the Lake Winnipesaukee region has a lot of fish you can catch. Lake Winnipesaukee and the surrounding smaller lakes in New Hampshire have all kinds of places for this sport. You can go out for a day with all your gear in a sled or put up a Bobhouse so you can go back to the same place each time. You can use a snowmobile or ATV. These can be used to pull your Bobhouse out or a sled with all of your equipment. If the ice is thick enough, you can drive your car or truck out on the ice. The old-fashioned method of walking works great for a lot of folks. There are lots of public access points to Lake Winnipesaukee in New Hampshire, including most of the towns on the lake and public boat ramps. Please be courteous and legal and don't trespass on someone's private property to get down to the lake. Since this winter sport is different from regular fishing, you need to be ready with the right equipment. You'll need drop reels, hooks and weights, tepee stands to hold the reel and tip-ups. Plus you will need something to put a hole in the ice. There are inexpensive hand augers and gas-powered augers. Pick the one the best fits your needs and budget. Don't forget the sled. You will probably be thankful to have a sled to pull all of your equipment. Another important piece of equipment is your fishing license. You can get them at a bait and tackle shop or any place that sells fishing and hunting gear in the Lake Winnipesaukee area of New Hampshire. It can get really cold on Lake Winnipesaukee when there's an ice cold wind blowing down the lake. If you don't have a Bobhouse, the old method is to build wind block walls out of snow. You can also purchase a lean-to to block the wind. For a more permanent warmth, people put up Bobhouses. A Bobhouse can be anything from a small shed for one person to an elaborate mini-mansion on ice. Most Bobhouses will have hatches in the floor you can lift and drill a hole in the ice. Some Bobhouses have wood or gas heaters generators, grills, refrigerators, televisions, etc. 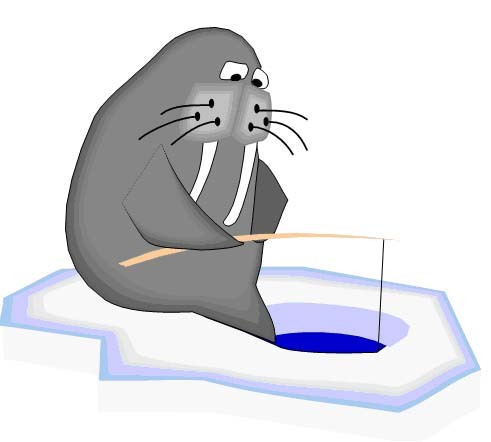 Each February, Lake Winnipesaukee holds its annual The Great Rotary Ice Fishing Derby. This is a huge fishing derby where people come from all over the country and Canada to fish in the many lakes in this area. There are all kinds of festivities in Meredith. It's something the whole family can enjoy. A comprehensive resource for fishermen of all levels. Informative equipment comparisons and selection criteria, tips & techniques, healthy fish recipes, destinations and more. Fishing, hook, line and sinker - Informative guide to tackle equipment, fly tying, wet and dryfly, current fishing reports and some mouthwatering recipes. 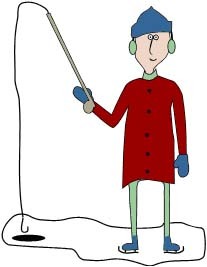 As winter fades and spring returns you will need to store all that ice fishing gear. Before you do, you will want to clean everything to make sure any mud, debris and fish guts are not left on your equipment and clothing. You'll want to make sure the shelter you use doesn't develop mold and you'll also want your motorized equipment to be in good condition before storing. There are many more tips to lengthen the life of your fishing gear. 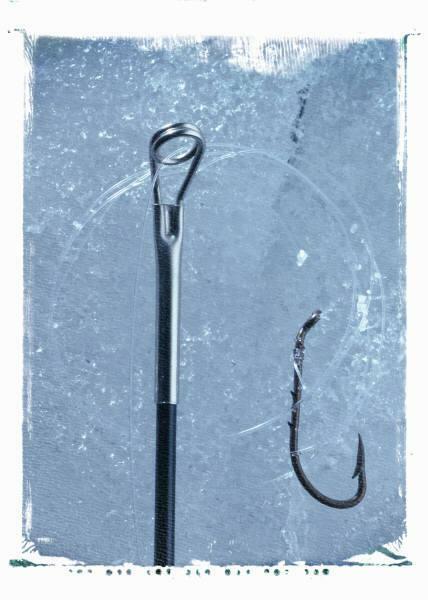 You can find them and much more in this Storing Ice Fishing Gear article.